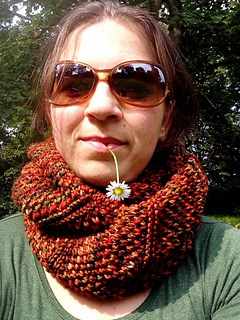 This pattern was originally published as part of the Twisted Cowl Club in May 2013. A Ghazal, pronounced ‘huzzle’, is an ancient Persian poem of love. The rhymes repeat in a familiar lilt, much like a sonnet. And the subjects, though always tied to love, are as varied as that most complex of emotions. Unrequited. Romanticized. Illicit. 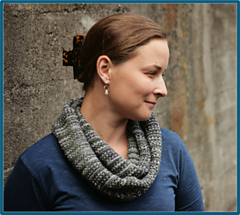 This cowl’s pattern repeats with a flowing rhythm, making it a simple, enjoyable knit. 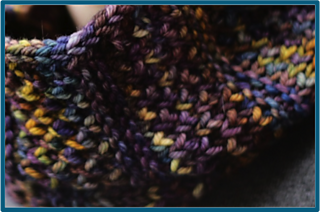 Yet the options for yarn-weight and length, not to mention its beautiful blending of variegated colorways, give you endless possibilities. 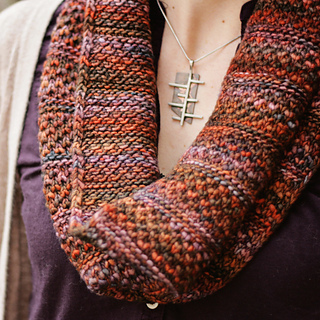 Knit it and fall in love over and over again. Worsted-weight version: 150-400 yards worsted-weight yarn. 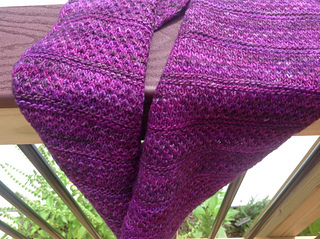 Sample shown in Malabrigo Rios (100% merino; 210 yards/100 gram hank), Candombe. DK-weight version: 170-435 yards DK-weight yarn. 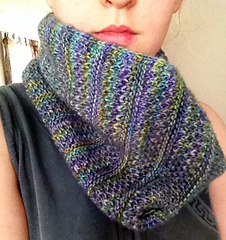 Sample shown in Malabrigo Rastita (100% merino; 310 yards/100 gram hank), Marte. Lace-weight version: 215-550 yards lace-weight yarn. Sample shown Blue Moon Fiber Arts Laci (100% merino; 900 yards/118 gram hank), Smokey Mountain Morn. 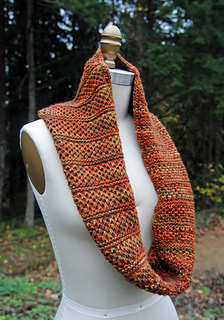 Worsted-weight version: 16 sts = 4” in stockinette stitch. Measured after blocking. 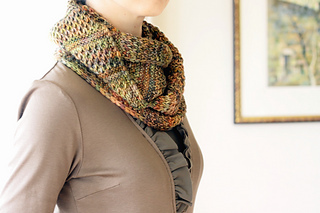 DK-weight version: 20 sts = 4” in stockinette stitch. Measured after blocking. Lace-weight version: 28 sts = 4” in stockinette stitch. Measured after blocking. 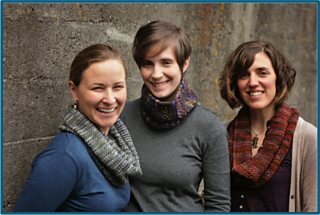 Worsted-weight version: US #9/5.5mm or size to get gauge. DK-weight version: US #7/4.5mm or size to get gauge. Lace-weight version: US #3/3.25mm or size to get gauge. Notions – Crochet hook, waste yarn, tapestry needle. Skill level - Advanced beginner (provisional cast on, grafting). Size/Finished measurements – short (medium, long). 9” wide and 20 (31, 52)“ circumference. Measured after blocking.